Street of Dreams (EXL) Dance Productions is dedicated to providing members with the opportunity to learn and improve the performing arts skills of dance to be used in performing in both competitive and performance presentations. We have many levels of Company, from beginner stepping stone company to the more advanced competitive team. Some Alumni dancers of EXL have continued to pursue their dreams. Some EXL can be seen on the USHER OMG tour, Beyonce tour, Hannah montans movie, So you think you can dance, ABDC, WICKED the Joffrey ballet and more... Whether pursuing a professional dance career or just wanting to be the best dancer you can be... EXCEL is your Team!!! 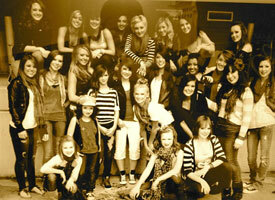 Excel provides the opportunity for dancers to participate as a team to reach their potential and goals as performers. The company consists of a dedicated group who believe in themselves and in each other and work together to accomplish their goals. Excel seeks performing opportunities in which the dancers can do what they love - dance Promoting self-esteem, building confidence, and providing the experience involved in training for the professional world of the Performing Arts, Excel works together to make our performance and ourselves the "Best We Can Be". If I miss audition can i still audition? 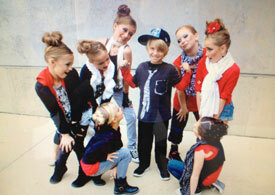 Jazz, Hiphop, Contemporary, Ballet and Lyrical.